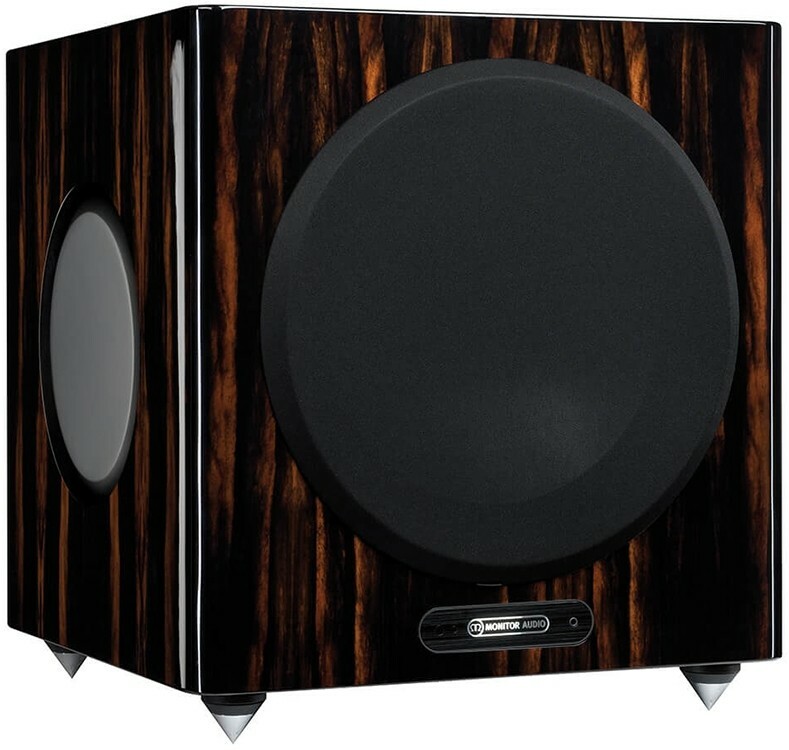 This is the powerful subwoofer in Monitor Audio's premium Gold Series, now in its fifth generation; a vital addition to any speaker set-up. 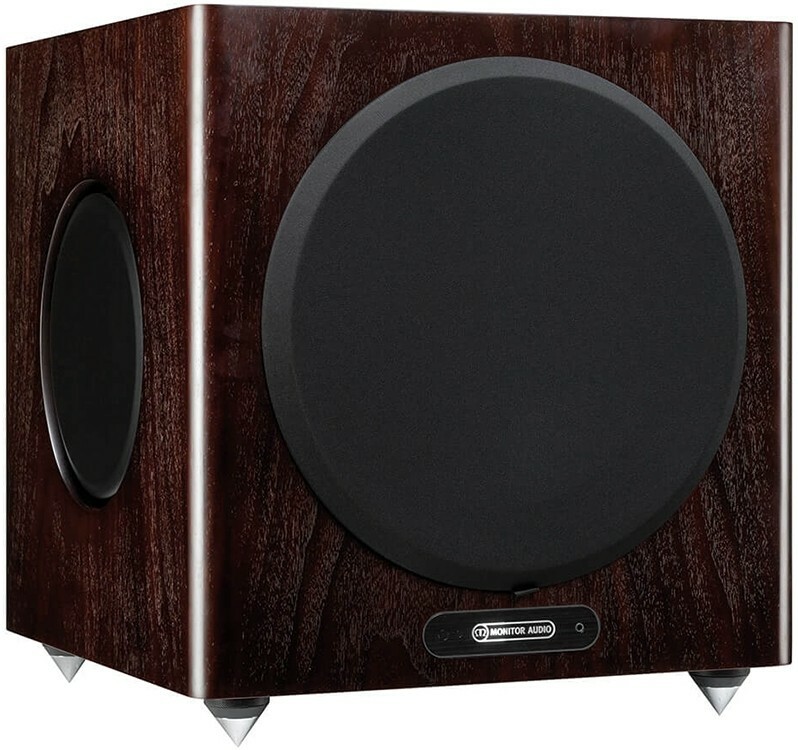 Monitor Audio Gold W12 5G Subwoofer is built with lovers of deep refined bass in mind and is a must-have addition to any speaker set-up. 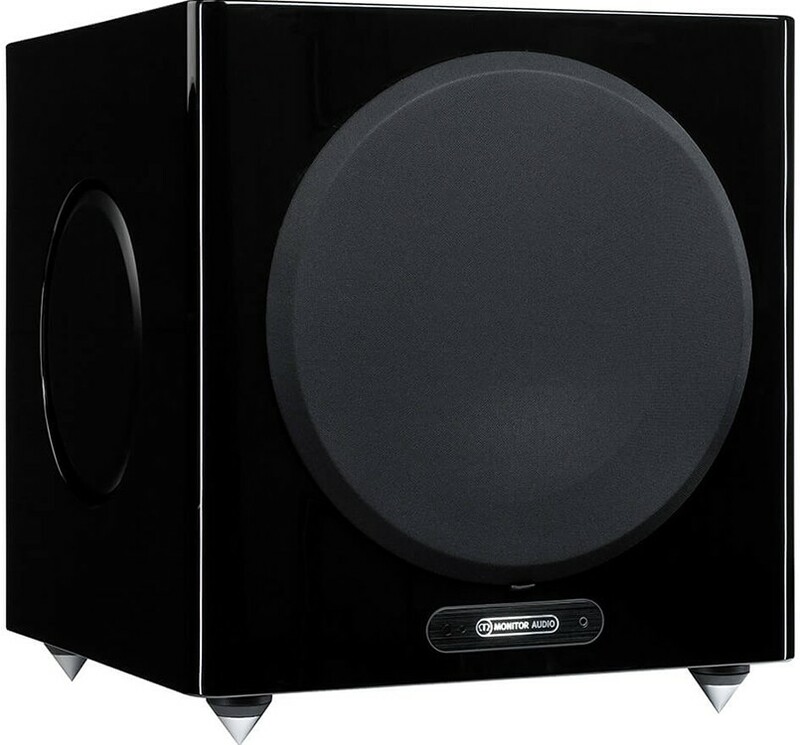 Soundtracks are reinforced by the profound balanced depth easily delivered by this premium subwoofer. 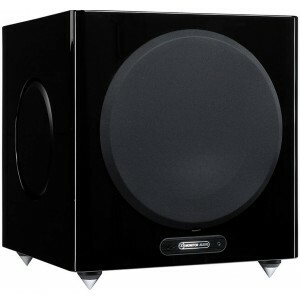 The highly-potent Gold W12 Subwoofer reproduces all the rumble of Hollywood’s most action-packed blockbusters. Equipped with a 12" long-throw driver reinforced by a pair of Auxiliary Bass Radiators (ABR), W12 is driven by 600W of Class D amplification generating a combination of power and scale that can be felt as easily as it is heard, thanks to prodigious 20Hz bass extension. 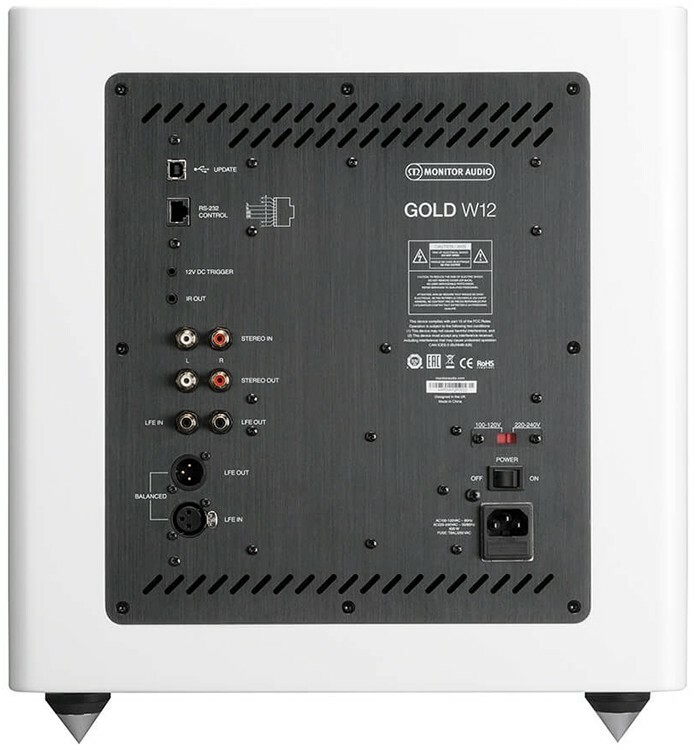 Gold W12 has a number of fine-tuning options, and thanks to Monitor Audio’s APC (Automatic Position Correction) system, the subwoofer operates at its peak regardless of where it’s positioned. 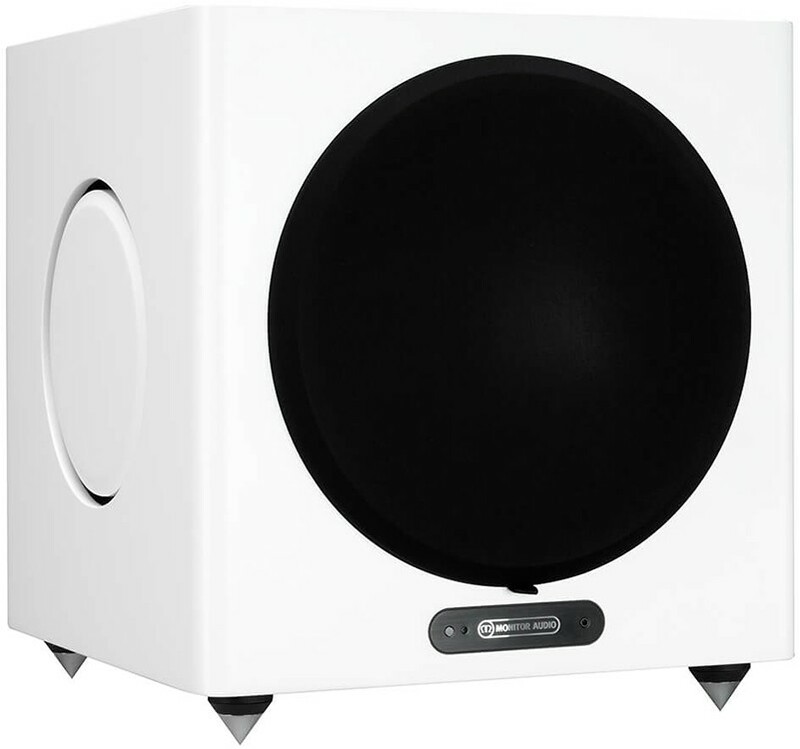 The sub is just as capable of replicating miniscule harmonic detail as it is the earth-shattering power of a volcanic explosion. 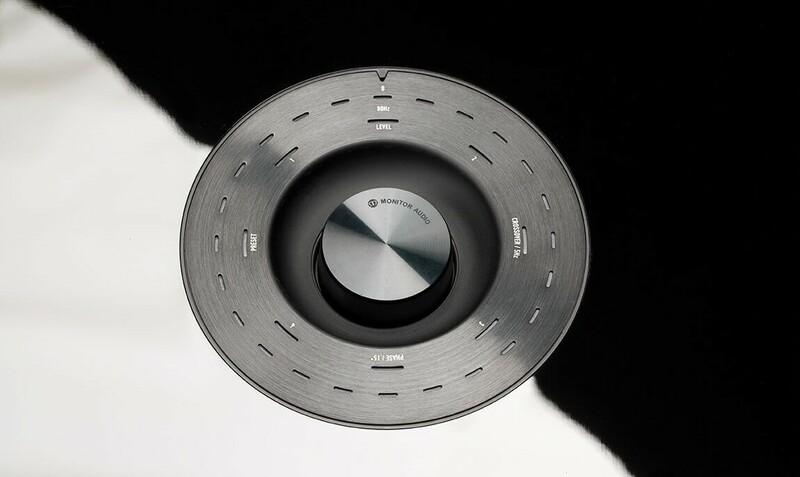 Adjust settings via the innovative controller mounted on the top panel of the cabinet or through Monitor Audio’s proprietary ‘SubConnect’ software. The settings give four completely configurable user pre-sets per input including modes for; Flat/Music/Movie and Impact equaliser settings. Fine-tuning is possible by adjusting the frequency, slope, trim and equaliser filters for each pre-set. Night Mode actively lowers the dynamic range of louder sections to suit the level the listener wants.